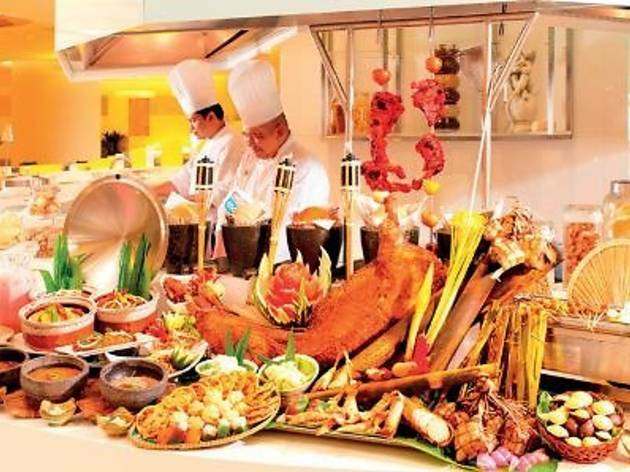 If you’re unsure of what to break fast with, then go for a bite of everything at The Spread’s buka puasa feast, which covers most, if not all, cravings with an ever-changing menu of over 100 dishes prepared daily. Start off your meal on the right note with an assortment of kurma, a cup of teh tarik and a selection of fresh green salads and wholesome kerabu. 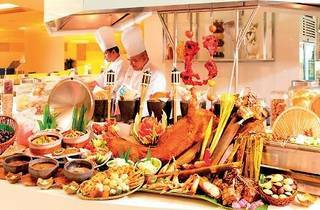 Offering an even spread of local and international fare, the highlights of the buffet include deep-fried soft-shell crab, Irish stew, kurma daging and the Malay staple: sambal udang petai. Authentic Indian treats such as garlic naan and tandoori chicken are specially prepared by the Indian cuisine chef, so you know you’re in capable hands. Don’t miss the barbeque corner, where freshly barbecued fish, prawns and squid, roasted whole lamb and chicken or beef satay await you.